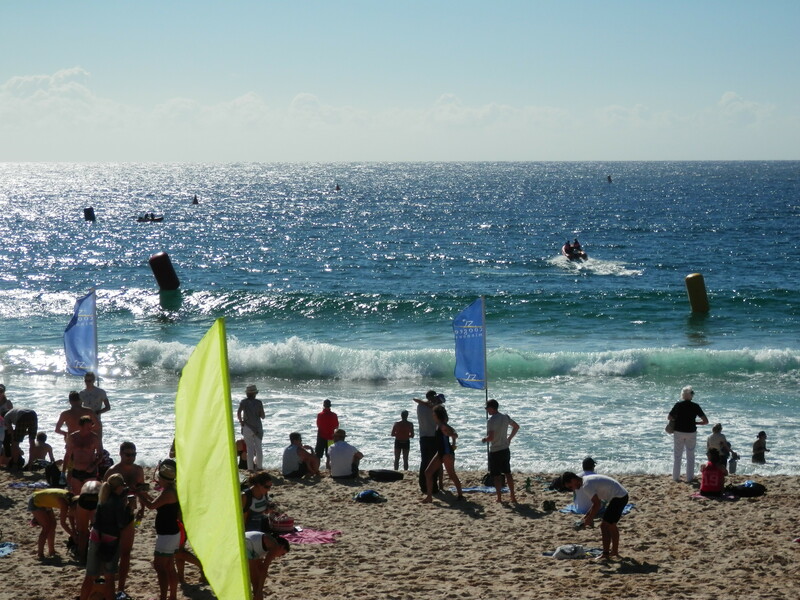 I had not planned to do this swim this year, as I was doing three swims at Toowoon Bay the day before. 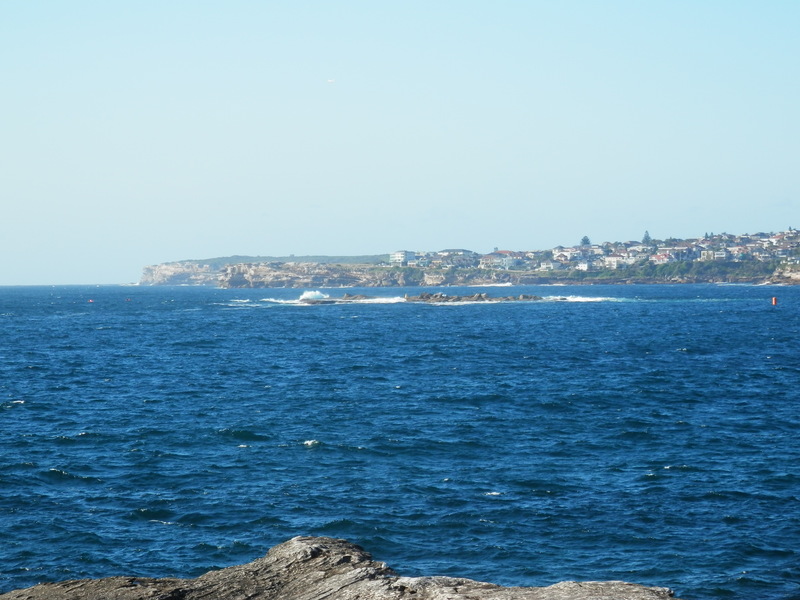 However, after the cancellation of the 2 km swim on Saturday, I tossed up the idea of doing the 2.4 km swim around Wedding Cake Island at Coogee the next day. I had missed the deadline for the online entries so would have to pay more on the day. Would I be able to do this swim? I knew the course having done it four times previously. I would wait to see what the weather was like on Sunday morning. Sunday was fine, with a fresh breeze. I thought of the squad members who had entered the race, and I decided to go. I arrived at the beach, and saw that there was lots of chop. I entered the long swim only, as I knew doing two races today would be just too much for me. Had a coffee with the yoga master and the lawyer and we all had our excuses ready. My excuse for any poor performance was the two races I had done the day before, with the three hours in the car thrown in. There were lots of people from the squad eagerly seeking shelter from the sun in the team tent. We wandered over the start line, and I asked questions of those who had swum in the earlier one km event about the conditions. They all said there was a fair bit of chop, and a nice little shore break to get through. Not my sort of conditions, but I was not surprised. I had a chat to the surfmuppet as we waited for our wave. He did 13km swim in Ireland in the northern summer, and has entered the Rottenest Island in February. He has toned down, and told him that he would probably finish before me today as well. 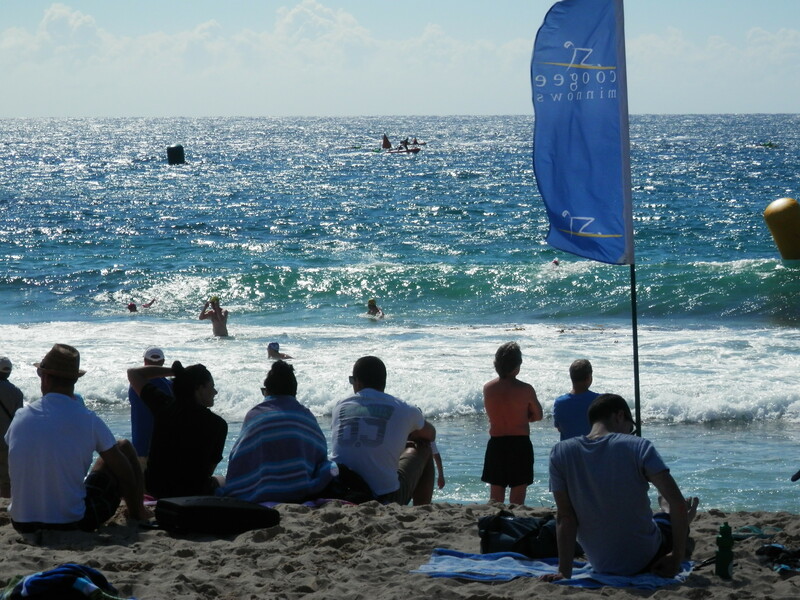 This is a large event, and they were starting the swimmers in five-year age groups, so we waited and waited for our wave to be called forward. I used this opportunity to see how the earlier waves were doing. I noticed that they were being pushed towards the left by the current and wind, which meant a start on the right hand side of the start line. We were told to expect lots of chop, and up to a one metre rise and fall of the swell out behind the island. This would be a challenge. The whistle went and we were in, with the normal thrashing of arms and legs as the ladies and gentlemen in my age group heeded the call of the ocean. There were more people in this wave then in the total race yesterday. Once again I tried to get into my rhythm, but it was tough with the chop and the bodies around me. Finally clear water just behind people who could swim a straight line. It was a tough slog out into the swell and wind, and it seemed to take forever to get out past the island and turn right. A few swimmers were swimming as straight as a drunken sailor which was disconcerting. At least the swarms of jelly blubbers gave me something to grip onto. The water was fairly clear and as we turned south at the back of the island, it was nice to see the kelp and weed moving in the swells underneath. I even managed to see some small fish. By the time I had arrived out here the fast swimmers from the next wave had passed me, but not before I had caught some in the earlier wave. These were not great conditions for me, but I still felt nice and strong, and worked on my pull and catch. Finally we turned for home and it was a great change to have the swell gently guiding us to shore. Up and down we floated and past the yellow markers for home. Past more slow swimmers, and getting past by faster ones from behind. 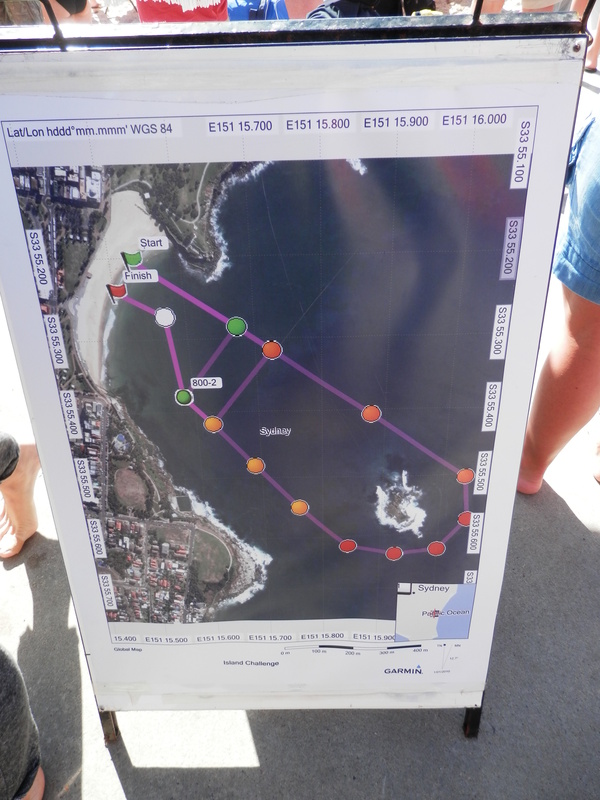 This is a great swim, and the conditions always test you. Through the shore break, and I even managed to catch a small one for a short distance for a change. I stood up, and wow I had enough petrol left in the tank to run over the finish line. I had not expected to have done a great time today as the conditions were tough for me. But it was still fantastic to have done three swims in two days and still have energy left. It was good to feel the warm sun on our backs as we discussed the swim and gave out more excuses. 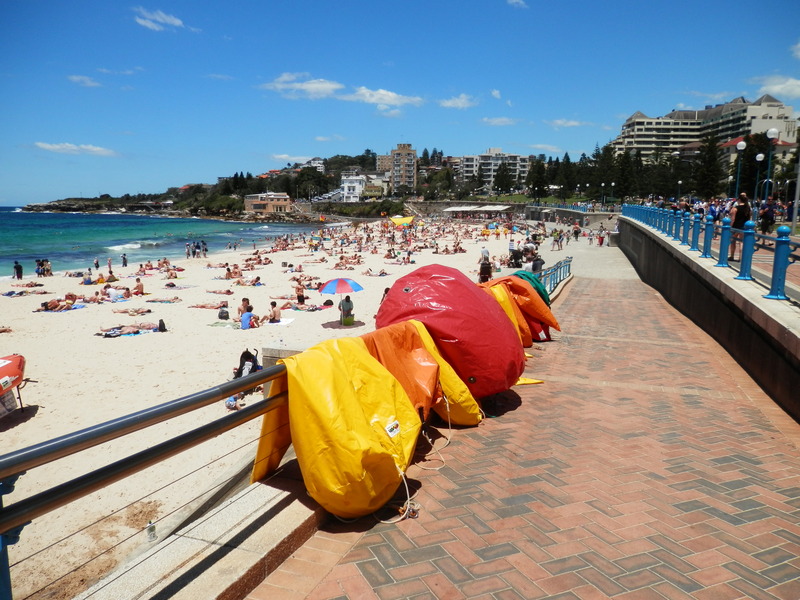 Coogee you have put on another great event. I am looking forward to doing it again in April when conditions are normally better. Well done everyone from squad, we will talk about the times during the week. You and I both know why he’s saying ‘good one Greg’. with a comma: good one, greg.